John Edwin Cowen is the Parnasus Literary Journal’s first prize winner in international competition. He has published poems widely in major literary magazines and is former co-publisher of Bravo: The Poet’s Magazine founded in 1980 by the late poet, Jose Garcia Villa. He is editor of the Penguin Classics centennial volume: Doveglion: The Collected Poems of Jose Garcia Villa published in 2008. Cowen is Professor of Literacy and Education in the Graduate Division of the Peter Sammartino School of Education, Fairleigh Dickinson University, NJ; he earned his doctorate at Teacher’s College, Columbia, University, NY. 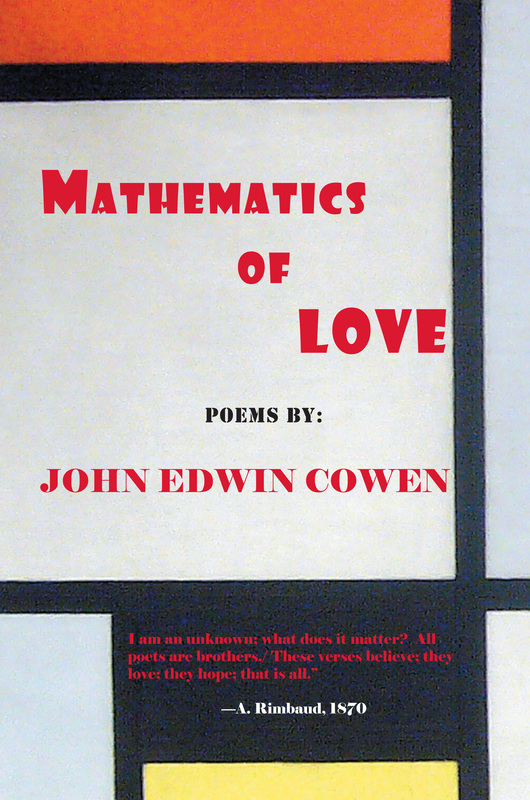 Mathematics of Love: Poems by John Edwin Cowen is the poet’s first published collection of poems. Mathematics of Love (Soft Cover $15 – Click to Purchase; Hard Cover $30, ISBNS: 978-1-937536-01-5/ 978-1-937536-08-4, LCCN: 2011939734, 6X9″, 134pp): “Like his mentor Jose Garcia Villa, John Edwin Cowen is a brave poet. He takes poetic risks with language and the result is often a beautiful flower behind the barbed wire of craftsmanship. I love the variety of poems in Mathematics of Love and the charged-up voice that powers all the work. He can be tender, challenging, energetic, and as complex musically as Villa and his other love, Dylan Thomas.